A former hostage of the Taliban continues the story begun with Captive (2010), digging deeper into the circumstances of his kidnapping. Van Dyk, a longtime student of Afghan history who had reported on the war against the Soviet invaders 35-plus years ago, returned in 2008 to report on the Taliban and their links with al-Qaida. He was taken captive in the mountainous country beyond the border with Pakistan and threatened with death unless certain prisoners at Guantánamo were freed or, failing that, the delivery of a large cash ransom. None of these things materialized, it seems, but he was freed. 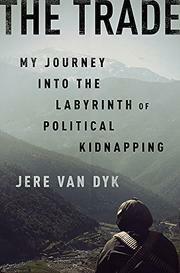 In this book, Van Dyk probes how it was that he was let go and who the actors were, players in what he calls “the Trade, the growing international business of political kidnappings, according to the US Treasury the most lucrative source of income, outside of state sponsorship, for illegal groups.” Inevitably, all paths point back to Pakistani military intelligence, without whose sanction, Van Dyk charges, the kidnapping would not have happened. The author can be winningly rueful, as when he recounts the exuberance that led him to Afghanistan in the first place. “I wanted to be with the Taliban, not just because I was curious about their faith,” he writes, “but because they represented a chance to do something worthwhile, and because they were an echo of the warmth of the mujahideen and that earlier, exciting time when I lived with them. It was the lure of the wild.” Van Dyk also examines the cases of others who were kidnapped at about the same time, such as a New York Times journalist whom the Taliban called “the Red Rooster,” just as they had called Van Dyk “Golden Goose”—meaning, in both instances, a source of ready cash; they were certainly luckier than those who, like Daniel Pearl, were murdered. Anyone with an interest in the geopolitics of the global war on terrorism will find value in this account.